A Federal Government bid to lighten patient load is unlikely to affect the nation’s HIV patients. Health Minister Nicola Roxon announced last week the Government would set aside $126 million over four years to allow nurses to prescribe medication on the Pharmaceutical Benefits Scheme (PBS) and bill their services to Medicare to speed up patient care when doctors are unavailable. 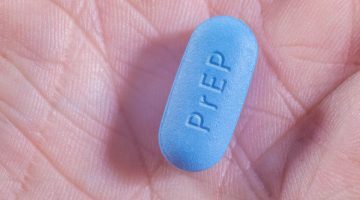 However, it is unlikely this will impact people with HIV as their drugs can only be prescribed by GPs and specialists with written approval to dispense them. Australasian Society for HIV Medicine (ASHM) CEO Levinia Crooks agreed the funding would not help people with HIV. -œI don’t think the budget makes a significant change as things stand at the moment, she said. -œAs far as getting nursing more involved in HIV care, this is something that’s going to take some time … it’s a matter of making sure nurses are well-versed and well-trained in the HIV area. ASHM released a report earlier this month calling on theÂ HIV sector to broaden its approach to patient care. Crooks said one of the key problems was the lack of a safety net if doctors moved away from service areas. -œThe strain in HIV mirrors, in many respects, the strain on the health system generally. Where you have more doctors, you have more doctors who can do HIV medicine. Where you have fewer doctors, you have doctors who have competing demands on their time, Crooks said. -œThere might be one doctor in an area who’s done HIV medicine but if that doctor leaves, there’s no one to replace them. -œWe’re seeing a shortage in the medical profession. We’re seeing a shortage in lots of different doctors and, yes, we are also seeing a shortage in the HIV area. Victorian AIDS Council executive director Mike Kennedy said he was concerned for states getting budget funds not tagged for specific health strategies. -œThere’s no indication any of the states are going to significantly reduce [HIV] funding in 2009/10 and Victoria certainly isn’t, he said. -œBut in the longer term there’s an interesting discussion to be had about how the HIV sector or the blood-borne virus sector makes the case for funding internally within [the] Health [Department] and from Health to Treasury when there isn’t an allocation of money that needs to be spent on [HIV]. -œThat makes the new national HIV strategy and the state HIV strategy very important or more important in the absence of allocated funding.